Stony soil can be a major problem in the construction of parks, gardens, golf courses and any other designated green areas. 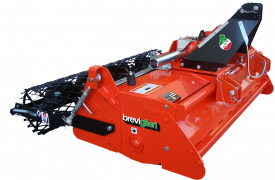 Breviglieri has engineered an efficient and functional appliance for burying stones. 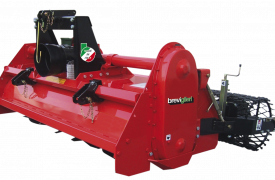 The robust system and oversized parts make the Breviglieri stone burier a dependable machine that can deal with even the toughest situations. 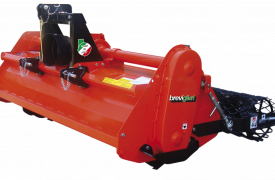 The stone burier can be used on all types of soil intended for: meadowland, green areas, gardens, parks, sports fields and golf courses. 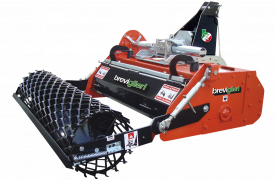 Its robust construction and oversized parts make the Breviglieri stone burier a dependable machine that can deal with even the toughest situations.